STEPZO Parent App is the India's leading mobile app for Parent and teacher communication. 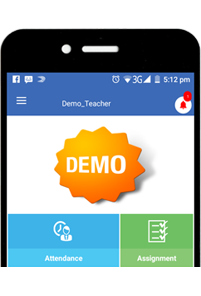 This application has been build keeping in mind that parent will get all updates and feedback for there child and they can improve there performance and be alert realated to all activities happening in school. Parents are very crucial part of every child as they teaches everything whether related to studies, participation, sports, manners, relationship, worship etc.They always think their child to be the best in all activities. Mother always look after everything and she is very curious about her children like where they are going, are they attending school, colleges or not, are they performing well, what homework or assignments needs to be done & when to be submitted are they safe in bus or not, when they are reaching home, how far they are etc. In STEPZO we have a provided a place where parent can view on a daily basis the complete report and performance of child.After survey we saw that teachers have to put lot of effort at the time of PTM and sometimes they dont remember how the children are performing daily.On Mobile automatically system on the basis of overall will provide the results for each segment related to academic,non academic,attendance,onine test,overall improvement. Till now parents cannot track where there child are, nowadays all parents are working they are so busy that sometimes they forget to pick and then school bus take there child back to school. But with this app you will get notified that bus has departed from school kindly track, so then they will be available on time.